It's now 2 days until the kickoff of Catamount football on Labor Day Weekend, Saturday, September 1, 2018, against the Newberry College Wolves, in Cullowhee. High School: Was listed as a two-star recruit out of high school by both ESPN.com and Rivals.com … Selected to the 2014 Shrine Bowl of the Carolinas, the first player to ever do so from his high school … Was a three-time all-conference selection, twice earning Special Teams Player of the Year plaudits in addition to All-State honors … Finished his prep career as HRHS’s single-season and career record holder for all-purpose yards, touchdowns, punt, and kickoff return touchdowns, receiving yards and receiving touchdowns ... High school coach was Marty Paxton. In the 2018 season kickoff game for the Cats, former Carolinas Conference mate, the Newberry College Wolves visits E.J. Whitmire Stadium. In the season-opening game, the Cats will sport an all-white look with white Adidas jerseys over white pants for this year's "White Out" game. For the fourth-straight year, a postgame fireworks extravaganza follows the home-opener. 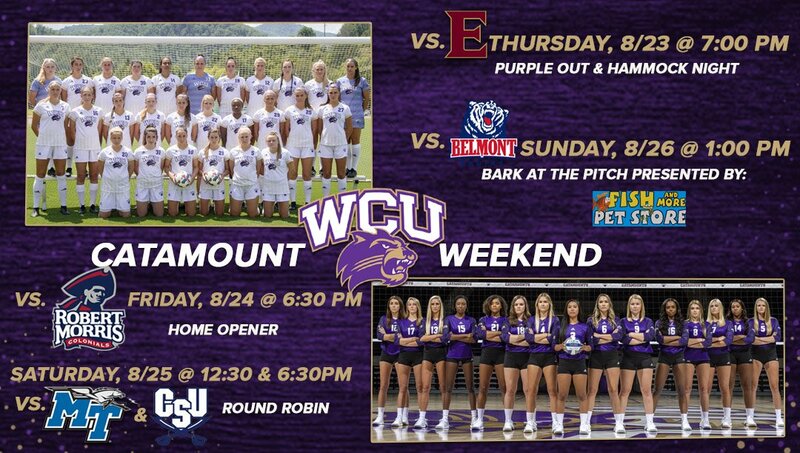 Radio: Catamount Sports Network - coverage begins at 5:00 pm with the Pepsi Tailgate Show as the "Voice of the Catamounts," Gary Ayers will be joined by Greg McLamb and Jeff Bryson on the call. - Fans can listen to the CSN broadcast on WWCU-FM Power 90dot5 in Cullowhee; 105.7 FM and 540 AM WRGC in Sylva; 104.9 FM & 1050 AM WFSC in Franklin; WISE Sports Radio 97.3 FM and 1310 / 970 AM in Asheville/Canton; and with live streaming audio available online at CatamountSports.com. The Series: Newbery and Western Carolina have not met on the football field since a 1993 meeting in Cullowhee. The two schools met nine times in the 1960s and the Cats are 10-4 overall against the Wolves, having won the last 8 games. The series started back in 1948, as most of the games were played when both teams were members of the Carolina's Conference in the 1960s. In the offseason, the Wolves named a new offensive coordinator, Todd Varn, who joined their staff in February. Varn sent the last 8 seasons at Presbyterian where he served as offensive coordinator and assistant head coach for six seasons. 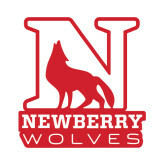 No stranger to Newberry, he coached the Wolves in various assistant roles on two separate occasions. The Wolves also added a new offensive line coach, Taylor Cornett, and a new tight ends coach, Zach Edmond. Newberry had 51 signees to mark National Signing Day. The Wolves signed one Shrine Bowler, 14 North-South All-Stars, and six Border Bowl participants, including the game's Most Valuable Player. The signing class also includes two Region Players of the Year and the 2A Offensive Player of the Year in Chesterfield quarterback Savion Watson. -Keito Jordon (DL) finished the season with 30 tackles, including 24 unassisted, and had a team-high nine quarterback hurries. -Jawanza Adams (DB) six tackles on five occasions, had 2.5 tackles for loss, and had one quarterback hurry. The Newberry Wolves had nine players named preseason all-South Atlantic Conference. Four of the nine garnered first team honors. Receiver Markell Castle was named to the first team offense, while Jamarcus Henderson and Keito Jordan make up half of the first team defensive line. Joe Blue also earned honors at linebacker. Running back Austin Barnes, lineman Tyler Anderson and the placekicker, Shea Rodgers was honored with second-team offense selections. Anfernee Moffett and defensive back Jawanza Adams finished out the selections named to the second team defense. The Wolves were picked to finish fourth in yesterday's preseason coaches' poll. 2016 All-American defensive end Jamarcus Henderson, currently ranked third among active Division II players in career tackles for loss is within range of several all-time Newberry records. Henderson and fellow defensive end Keito Jordon give the Wolves tremendous production (89 tackles, 26.5 tackles for loss, and 14.5 sacks accounting for 116 yards in 2017) and half of the preseason first team all-SAC defensive line. Converted tight end Austin Barnes, at running back, figures to be a key part of the offense. Only seven of his 112 carries went for negative yardage a season ago as he racked up 494 yards and seven scores. This season, the Wolves hope to take pressure off the quarterbacks and play ball control, using the running game to open up lanes to throw to Markell Castle, Bobby Irby, and the rest of the Wolves' wide receiver corps. It's now 3 days until the kickoff of Catamount football on Labor Day Weekend, Saturday, September 1, 2018, against the Newberry College Wolves, in Cullowhee. 2017 (Freshman): Did not see game action, taking a redshirt. It's now 4 days until the kickoff of Catamount football on Labor Day Weekend, Saturday, September 1, 2018, against the Newberry College Wolves, in Cullowhee. 2017 (Freshman): Played in nine games on the season ... Returned seven punts for 23 total yards including a long of nine yards against Davidson (Sept. 9) ... Recorded three punt returns at Chattanooga (Sept. 30) ... Credited with two tackles on special teams in the road win at VMI (Oct. 21) ... Named to the 2017-18 Southern Conference Academic Honor Roll. Prior to Western Carolina: Was a three-year letter winner as a kick returner and wide receiver ... Was a two-time first team All-Region selection ... Finished his prep career with 85 receptions for 1,633 yards and 13 touchdowns ... 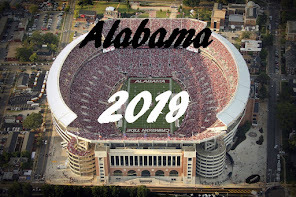 Returned 15 kickoffs for 312 yards, averaging nearly 21 yards per return with one TD ... As a senior, hauled in a career-high 43 passes for 820 yards and seven scores, adding five rushes for 67 yards and a touchdown in earning second-team All-Midlands honors ... Received the Bengal Captain and Bengal Wide Receiver Awards as a senior ... High school head coach was Dan Morgan. It's now 5 days until the kickoff of Catamount football on Labor Day Weekend, Saturday, September 1, 2018, against the Newberry College Wolves, in Cullowhee. The 2018 Catamount football captains were selected on Sunday afternoon at a team meeting; P Ian Berryman, RB Corey Holloway, DB Marvin Tillman, and OL Zach Weeks were voted captains by their teammates. Congratulations to the new team captains from the Catamount Nation !!!!!!!! It's now 6 days until the kickoff of Catamount football on Labor Day Weekend, Saturday, September 1, 2018, against the Newberry College Wolves, in Cullowhee. 2017 (Redshirt Freshman): Saw action in three games on the year, making his collegiate debut in the home-opener against Davidson (Sept. 9). It's now 7 days until the kickoff of Catamount football on Labor Day Weekend, Saturday, September 1, 2018, against the Newberry College Wolves, in Cullowhee. 2017 (Redshirt Junior): Played in all 12 of the team's games with three starts .. Rushed 82 times for 444 yards and seven touchdowns, adding four receptions for 33 yards and a score out of the backfield ... Scored 48 points on the season ... Recorded double-digit carries four times on the year including a season-high 17 in a start at VMI (Oct. 21) ... Rushed for a career-high 119 yards on 16 carries in the home-opening win over Davidson (Sept. 9) ... Rushed 14 times for 105 yards and two touchdowns in the road victory over Chattanooga (Sept. 30) ... Returned three kickoffs for 43 total yards, amassing 520 all-purpose yards on the season ... Named to the 2017-18 Southern Conference Academic Honor Roll. 2014 (Freshman): Redshirted ... Named to the 2014-15 Southern Conference Honor Roll... For the Gold squad in WCU's annual Spring Game, rushed nine times for 26 yards including a seven-yard touchdown rush. Prior to Western Carolina: Was a four-year varsity letter winner in football ... Is a physical runner with good vision that amassed over 1,300 all-purpose yards including 1,093 on the ground en route to earning his team's MVP award as a senior, helping Eagle's Landing High record a school-record for wins ... Led the team with 10 rushing touchdowns as a part of first-team All-Region honors at running back ... Recorded 200 receiving yards as a senior ... Also saw time on defense at linebacker over his final two seasons, tallying 44 tackles including 34 solo stops ... Earned the Good Citizenship Award from the National Society of the Daughters of the American Revolution ... As a junior rushed for 1,449 yards and nine touchdowns ... High school coach was Joe Teknipp. It's now 8 days until the kickoff of Catamount football on Labor Day Weekend, Saturday, September 1, 2018, against the Newberry College Wolves, in Cullowhee. Prior to Western Carolina: Dual-threat QB that is listed as a three-star recruit by both Rivals and 247Sports ... Named Georgia 8-AAAAAA All-Region at QB ... Converted to QB prior to his senior prep season after playing mostly as a wide receiver despite playing the position growing up ... Threw for nearly 2,500 yards and 15 touchdowns while adding 800 yards and 13 TDs on the ground as a senior, averaging 329.5 yards per game in his final year as a prep ... High school coach was Benji Harrison. It's now 9 days until the kickoff of Catamount football on Labor Day Weekend, Saturday, September 1, 2018, against the Newberry College Wolves, in Cullowhee. 2017 (Sophomore): Saw action in 11 of the team's 12 games on the season with one start coming against VMI (Oct. 21) ... Finished the season with nine total tackles including four solo stops and one tackle for loss coming against VMI ... Named Southern Conference Defensive Player of the Week on Oct. 16 after recording a pair of interceptions - the first of his collegiate career - to accompany a pair of tackles in the home victory over ETSU (Oct. 14), in which he saw the most extensive playing time of his career ... Returned his first career interception 41 yards for a touchdown in the third quarter against the Bucs ... Set-up another WCU score by returning his second pick 56 yards to the six-yard line ... Was additionally nominated for the FCS Hero of the Week through a vote by HERO Sports ... Intercepted two passes to highlight WCU's annual Spring Game ... Named to the 2017-18 Southern Conference Academic Honor Roll. 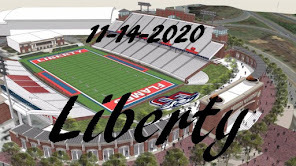 2016 (Freshman): Played in five of the team's 11 games on the year, mostly as a defensive reserve ... Made his first collegiate start against Chattanooga (Oct. 28), recording his first career tackles ... Finished with four tackles including two solo stops coming against VMI (Nov. 5) and at Furman (Nov. 12). Prior to Western Carolina: Two-time All-SoMeck 8 Conference selection ... Garnered second-team defense accolades on the All-Charlotte Observer team ... Was listed on the South Charlotte "20 to Treasure" list following his senior season which ended with him garnering the publication's Defensive Player of the Year honor ... Posted 56 tackles including six TFLs, a sack, eight interceptions and 13 pass break-ups as a senior ... On offense, caught 24 passes for 98 yards and three scores ... Set as a junior and then matched as a senior a school-record with eight INTs in a single-season ... Also tallied a career-best three interceptions in a single-game ... High school coach was Rocky White. Personal: Full name is John William Brannon III ... Is the son of John Brannon Jr. and Dana L. Byers. It's now 10 days until the kickoff of Catamount football on Labor Day Weekend, Saturday, September 1, 2018, against the Newberry College Wolves, in Cullowhee. 2017 (Sophomore): Made his collegiate debut in the home-opener against Davidson ... Officially recorded one rush for a five-yard gain against Davidson (Sept. 9) ... Named to the 2017-18 Southern Conference Academic Honor Roll. It's now 11 days until the kickoff of Catamount football on Labor Day Weekend, Saturday, September 1, 2018, against the Newberry College Wolves, in Cullowhee. 2015 (Redshirt Freshman): Played in 10 of the team's 11 games as a backup wide receiver ... Caught four passes for 18 total yards with a receiving touchdown ... Made his first collegiate reception on a six-yard gain against Presbyterian (Oct. 2) ... Both caught and threw a TD pass in the home win over Samford (Oct. 24) -- hauled in a nine-yard pass that he dove and extended the ball over the goal line for the score; on the very next offensive possession, tossed a 39-yard pass on a wide receiver pass to Karnorris Benson ... Had one official rush on the season and returned three punts ... Caught a pair of passes including a 10-yard touchdown reception in WCU's annual Spring Game. 2014 (Freshman): Redshirted ... A two-sport student-athlete saw action in five games for the Catamount baseball team ... Went 0-for-2 with one run scored and a stolen base as a pinch runner ... Playing for the Gold squad, caught three passes for 18 yards in WCU's annual Spring Game.